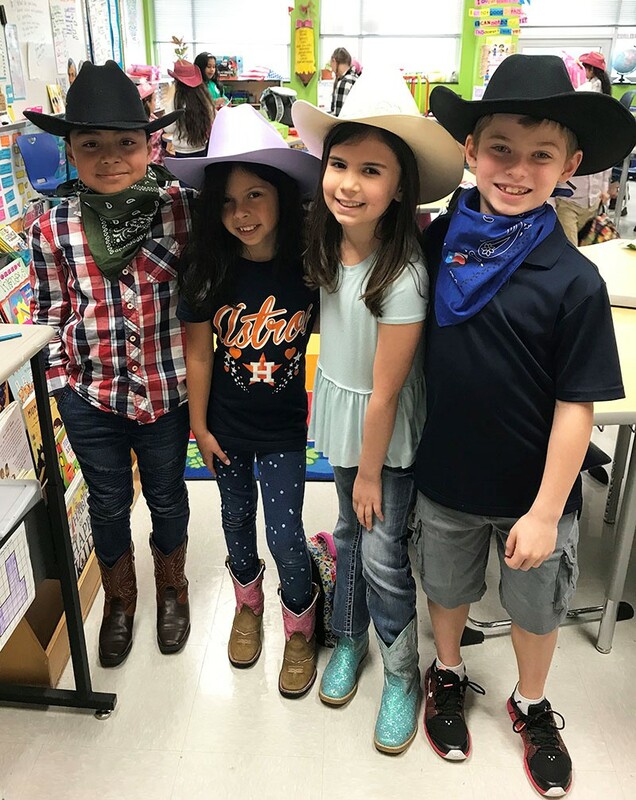 Condit Elementary students wore their boots and denim to get in the Rodeo spirit for Go Texan Day. 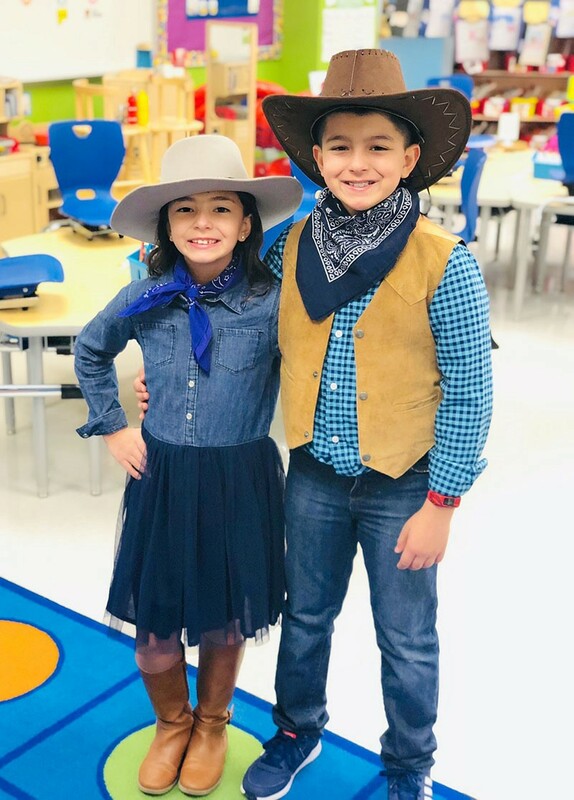 These little cowboys and cowgirls had a blast dressing up. 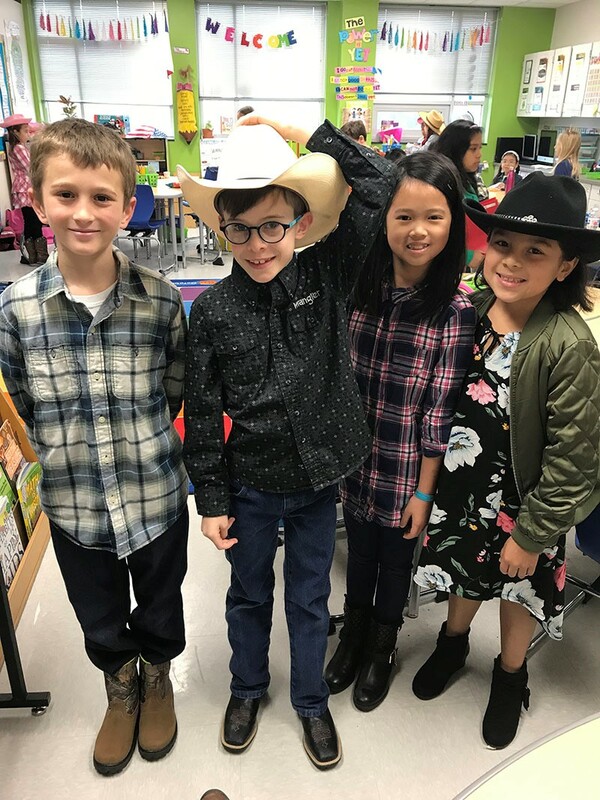 First grade cowgirls. 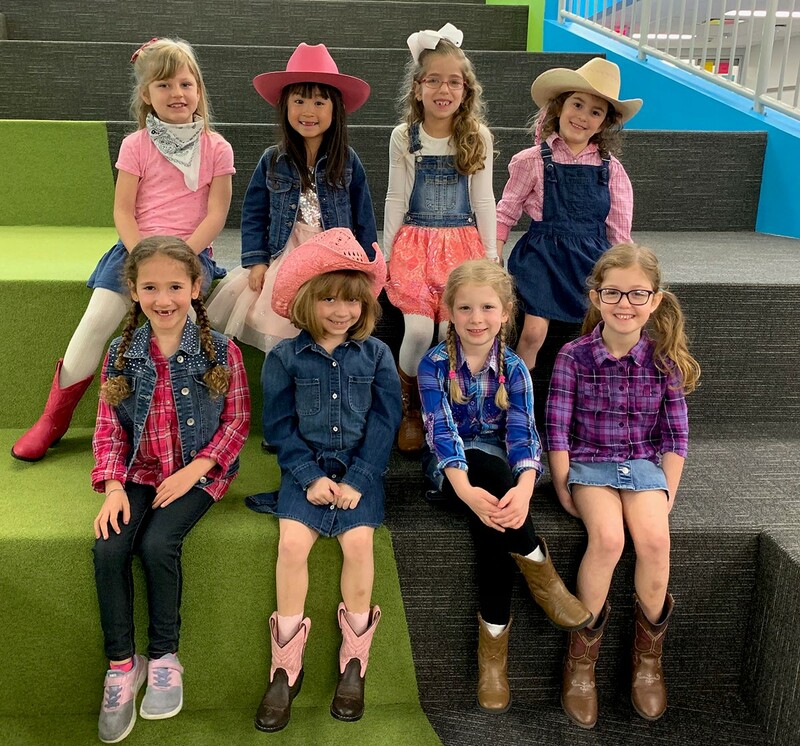 Pictured are (front row, from left) Chloe Yomtov, Stella Wells, Kinley DeArmon, Sydney Pasternak; (back row, from left) Lily Ericksen, Madelyn Melville, Sophie Miller, Hailey Sutin. 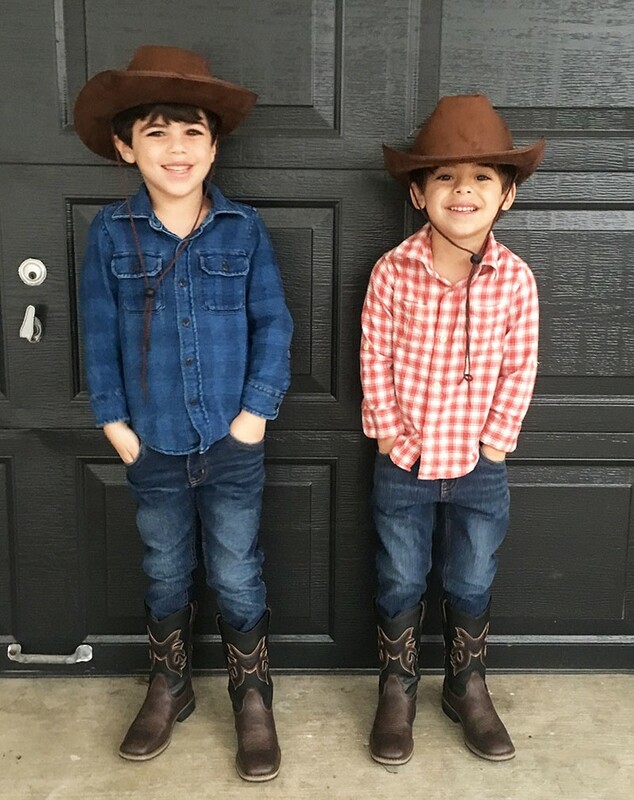 Kindergarten brothers Joshua and George Feinstein. 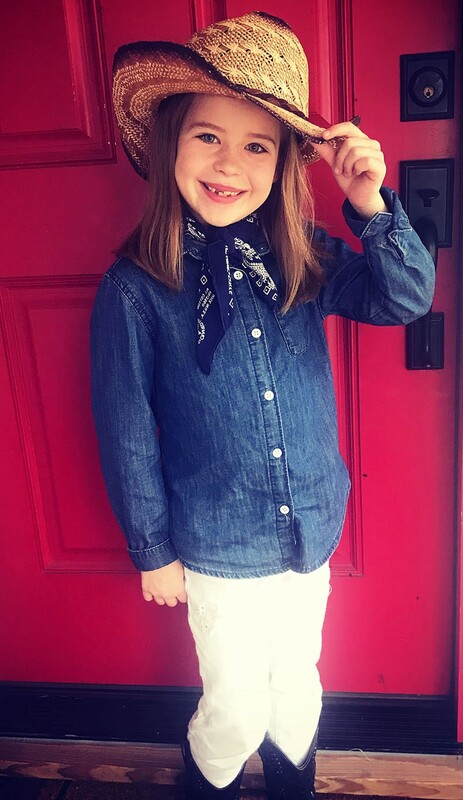 Second grader Charlotte Eshelman tips her hat.